Notes: For non-elderly women, “other” includes women who are covered through the military or Medicare. 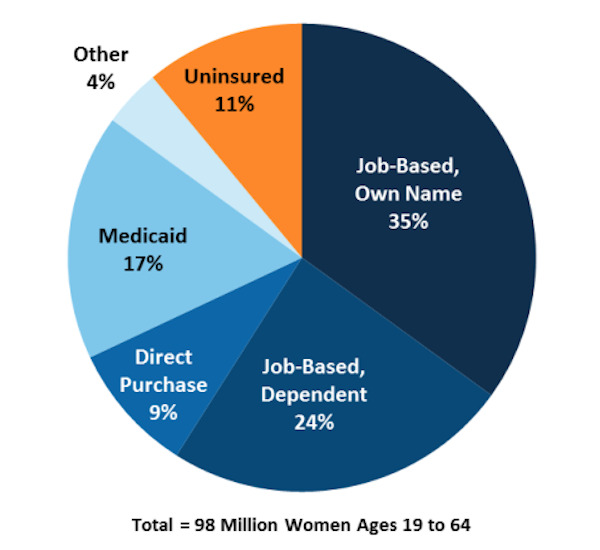 Data Source: Kaiser Family Foundation analysis of 2017 ASEC Supplement to the Current Population Survey, U.S. Census Bureau. This entry was posted in Data Watch on November 8, 2017 by Genevra Pittman.